In a work that is at once a lyrical evocation of that lost splendor and a detailed natural history of these charismatic species of the historic Great Plains, veteran naturalist and outdoorsman Dan Flores draws a vivid portrait of each of these animals in their glory—and tells the harrowing story of what happened to them at the hands of market hunters and ranchers and ultimately a federal killing program in the nineteenth and twentieth centuries. The Great Plains with its wildlife intact dazzled Americans and Europeans alike, prompting numerous literary tributes. American Serengeti takes its place alongside these celebratory works, showing us the grazers and predators of the plains against the vast opalescent distances, the blue mountains shimmering on the horizon, the great rippling tracts of yellowed grasslands. Far from the empty “flyover country” of recent times, this landscape is alive with a complex ecology at least 20,000 years old—a continental patrimony whose wonders may not be entirely lost, as recent efforts hold out hope of partial restoration of these historic species. 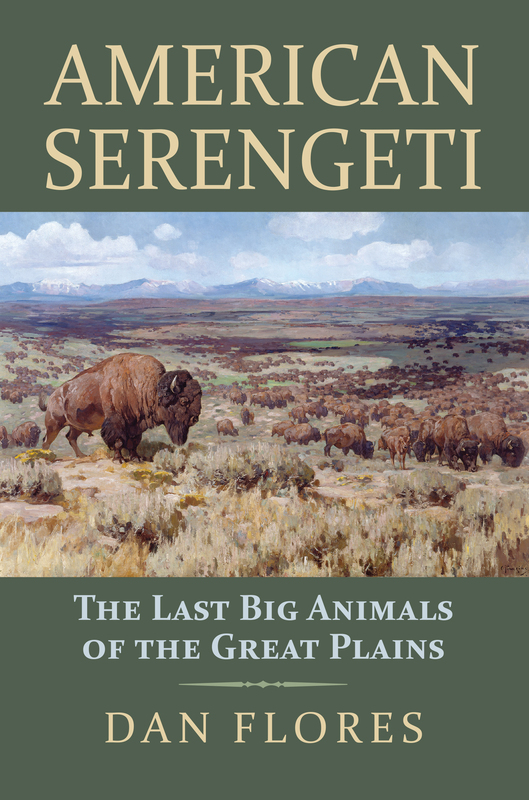 Written by an author who has done breakthrough work on the histories of several of these animals—including bison, wild horses, and coyotes—American Serengeti is as rigorous in its research as it is intimate in its sense of wonder—the most deeply informed, closely observed view we have of the Great Plains’ wild heritage. Dan Flores is A. B. Hammond Professor Emeritus at the University of Montana, Missoula. His many books include The Natural West: Environmental History in the Great Plains and Rocky Mountains and Horizontal Yellow: Nature and History in the Near Southwest.